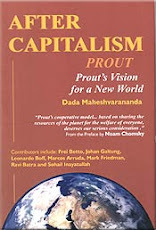 Prout - Alternative economic model for Capitalism and Communism: Hallow from the Hollow Earth! Hallow from the Hollow Earth! Although the main news, scientists and governments deny the existence of hollow earth, still it doesn't prove anything. They don't care much about truths anyway as we have seen, but is the earth really hollow that is an another thing. There are interesting claims ab inner earth and its kindly (or less kindly) beings - true or not you decide! I couldn't. And anyhow disclosure is not only that UFOs suddenly decide to appear, but it is also that our consciousness and thus our capacity to see the higher dimensional beings increase. According some polar researchers; There are butterflies, flies, mosquitoes, and even grass and foxes, the more north you go. The north wind brings warm winds and pollen. The temperature warms up when traveling to the poles from latitude 95, due to heat from the interior of the Earth. There are icebergs, which are fresh water (not salty) and frozen with extinct animals. Musk, gull ross, polar bears tend to go north when food is scarce. Eskimo myths refer to a sunlit "Northland". Cities of the inner earth have been named in different cultures; Agartha, El Dorado, Shambala. Famous polar explorers (Nansen etc) get lost and never find the pole. Gardner did profound research, his book tells it all; http://mysterioushollowearth.webs.com/A%20Journey%20to%20the%20Earth-Marschall%20B.%20Gardner.pdf. Ab other books; http://www.ourhollowearth.com/Bernard/Index.htm. UFO expert Palmer; Surely a present flight advertised as passing directly over the North Pole would attract many passengers who would like to have that experience to see real North Pole. Yet, strangely, no airline offers such a flight. Soviet discoveries a circular line, any point on this circle could be called the North Magnetic Pole, because here the needle of the compass dips directly downward. The Hollow Earth Theory holds that also other planets have polar openings and a "central sun". The aurora borealis... in the polar caps and clouds reflects light coming from inside the planet. Inspired ab meeting with inner earth beings; http://www.youtube.com/watch?v=IqrsT5ExYno. See at the end; http://www.youtube.com/watch?v=A4flT7Ww9xM. Love is all there is Baba Nam Kevalam; http://www.hollowearthnetwork.com/page/478579584. Most strange man born in inner earth! ; http://www.youtube.com/watch?v=lKEIStOvJjw. And more: http://www.hollowearthnetwork.com/. You may ask more directly from him; Billie Woodard, aadehart@aol.com. Wilcock ab Admiral Byrd, who flew over magnetically active area of the Earth‘s rotational South Pole, which led to all sorts of fanciful speculations about the “hollow earth” theory, but in reality the pilot had temporarily moved through a portal in time that showed him an historic view of Antarctica, back when it was not covered by ice. And Wilcock thinks there are habitable underground cities out of existing pockets within the Earth; This does not mean the center of the Earth is hollow and the core is like a sun -- but multiple, credible insider testimonies confirming there really are areas like this within the Earth. The centrifugal force of the Earth's rotation creates a force similar but opposite to gravity that allows you to walk 'upside down' in these inner areas, compared to the Earth's exterior. The Ancients designed bio-luminescent bacteria on the innermost side of these pockets to provide renewable light source, allowing flora and fauna to grow naturally within these mysterious interior areas. Many ETs can live and work closely with those on the Earth's surface -- safe, sound and totally undetected -- thanks to these living, breathing 'underground cities'. But how is the Hollow Earth: Central sun, no stars, frequent rain, oxygen 62%, no pollution. Inhabitants 5 million, similar to us (and some our people living there), but tall and more developed, loving. They use flying disks and other advanced technologies with free energy. Mountains low, rivers and shallow seas, the vegetation is tropical, the temperature is constant ab 26 degrees, no insects but birds and fish, some bigger animals, mammoths. Entrance from earth through 8 tunnel networks and poles, but some claim they are protected from sight and entering. The crust has a width of only 1400 miles, 2,200 miles? The northern/southern lights that we see are reflection of the central sun of inner earth. http://www.mundosobrenatural.com/2012/12/aperturas-solares-dos-nuev... Deros live in the cave cities underground but not in inner earth. Lemurians from Mount Shasta, underground city Telos; http://www.youtube.com/watch?v=ZANq6mBXnJs. Prior to the sinking of Lemurian continent, the inhabitants used their crystals, sound and vibrations to hollow out a vast underground city, in order to preserve their culture, treasures and ancient Earth’s history. The Lemurians have the ability to make themselves visible or invisible at will. They are graceful and tall with long hair, white robes. Dr. M. Doreal claimed that he visited the Lemurians inside their mountain. They control most of their technology with their mind. People see spacecrafts coming and going from deep within the mountain. Researcher William F. Hamilton claims to have met representatives of this society. Over 1,5 million of them live in large 5-leveled, 20-mile long underground city. Bonnie says she was born in 1951 in Telos, she tells; “We work closely with the Melchizedek Priesthood (Mormons) to serve the Earth. In Telos, we are Spiritual Warriors, as you on the surface must become. We have developed our Inner Vision through meditation and prayer”. The tube trains are propelled by electromagnetic impulses up to speeds of 2500 mph. They grow food hydroponically under full-spectrum lighting. Some groups around and in contact with beings of Mounth Shasta; Telosproject.weebly.com, mtshasta, shastavortex.com, shastaconnect.com, diannerobbins.com, telosuk.com, visionlifeforcestation.com, lemurianconnection.com, earthalive.com, crystalinks.com. Telos in Finland; http://www.musaura.fi/telos/Telos_Finland_-_Lemuria_-_Adama_-Aurelia_-_Flames/Tervetuloa.html. 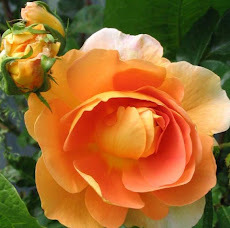 Dianne Robins voice of the inner earth, channeling; TelosMtShasta@gmail.com. 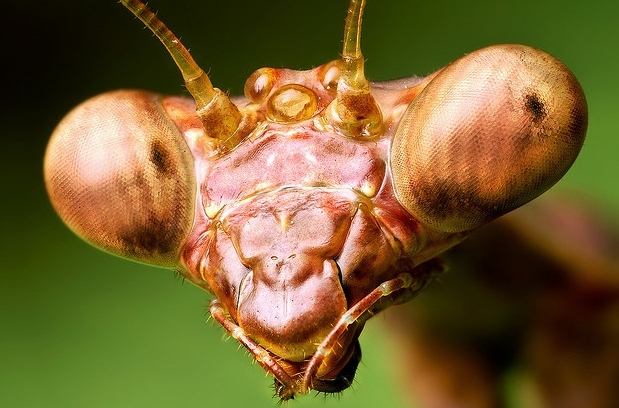 Psychic Focus gets in her many readings that there seems to be ETs, like insect type ants, antennae on their heads - living in inner earth. The “ants” doesn't have feelings and they capture humans as their slaves. Humans are given enough to get by, but overall are worked very hard, like peasants. The ETs are dominantly the lower density ETs having telepathic ability - very intelligent, but the "feeling" side is absent, some kind of robots. I see the 'ants' taunting those on the surface with their technology, and we want it so bad that certain governments negotiate to trade people in exchange for learning some of their advanced technology. Inner Earth / Hollow Earth Theory. The "ants" talk telepathically to one another, and make clicking sounds when talking to humans. How the humans got there; like Indian Tribe running up to Alaska, which doesn't look snow-covered, or cold - green and lush. Then "ants" come to the surface and from their ships "plucking" up random humans. Earth structure; we have (starting from the exterior) the crust (we live in), mantle, core layer (not true core), where lava is housed. Then inner mantle, internal crust (kidnapped humans and ETs), and a large empty space with a mini sun. Center of gravity is in inner mantle layer closer to the core layer. The inner sun in the very center helps to equalize gravity also?? (The earth spins around inner sun). It is warm and very humid there like tropical rain forest. Entrances; in Washington state mountain (Mount Rainier?) is a cave at the base, straight down. ETs are able to fly in and out of the location with their crafts. Near the north pole location appears to have some kind of energetic vortex that allow them to teleport back and forth from the inner earth. The other location is in the Atlantic Ocean. Once you get so deep the gravity and centripetal force of earth spinning holds the water in place?? Living in the hollow earth will only be accepted (by humans) if the external earth is uninhabitable, if we have no other choice. Right now the ETs treat humans how we treat farm animals, but when the surface of earth need to heal ? "good" ETs will pave the way (so ET war) for humans to enter inner earth. And we want to get the resources, as inner earth is very mineral rich. Q: hollow earth; Adama of Telos? mount Shasta, California, Two friends of mine Dieter and Daniel speak to Adama in trance? A; There is like a cave, and opens into an underground city... It is some type of temporary housing for beings that come from the sun. Dieter, Daniel and ETs talk about the pyramids and then something about the sun. They are slightly more advanced than us. They use their space crafts to go back and forth between the sun and earth. They look like Maxillary Papus. http://3.bp.blogspot.com...Praying+Mantis.jpg. Pleiadians: We don’t display ourselves [to humans] before you’re ready - Because what happens when you view us in your physical reality is that it shatters your sense of reality. So that’s why we wait until you’re at a point where your frequency is high enough where you can see us; http://www.youtube.com/watch?feature=player_embedded&v=KHfXhraLOaA. Some more links; Our Hollow Earth Updated. Video Hollow earth: http://www.youtube.com...66. Another; http://www.youtube.com...Cks. And Giant Transporting Down To Earth - Stargates Opening Up. Bill Meier has alien contact Asket, also Phobol Cheng, x-diplomat of the UN also talked with Asket; http://www.youtube.com/watch?v=iRm-X6UVjGg, and theyfly.com. Billy Meier predictions; http://www.youtube.com/watch?v=Q2RO38muGGQ. Beautiful UFO; http://www.youtube.com/watch?v=sBbocB96TKM and UFO Falls From The Sky Over Canada. Some topics; The World Is Flooding Because Planet Changed Shape For Good. And Major Earthquakes Changed Tilt. And let's not forget Niburu; Nibiru/Planet X right Next to Our Sun Recorded By SOHO. John Medy; the Earth is battling a forced Pole Shift. Is a large celestial object orbiting closer to Earth every year? Nibiru perspective at 22:12. And this; Italian Ebola Virus Crop Circle. And Five planets where humans may be able to live; http://smithsonianscience.org...pulsenews. Keshe: Clean up your own CO2 mess! Fulford 古歩道ベンジャミン page down, WTF? Whistleblowers under attack for what?